Camping International Erromardie är en camping i Saint-Jean-de-Luz, Pyrénées-Atlantiques, belägen vid havet. Campingen har platser med stängsel, med skugga, utan skugga och platser med lite skugga. Camping International Erromardie ligger i närheten av en sandstrand. Det finns möjlighet att hyra husbilar. På campingen finns en lekplats. För den sportige semestervandraren har campingen olika cykelleder. Det finns ett underhållning. Campingen förfogar över en utomhusbassäng. I den närliggande omgivningen kan du också simma i havet. I Camping International Erromardie är det tillåtet att snorkla och vindsurfa. Denna inspektör gör varje år ett besök på Camping International Erromardie och inspekterar campingen för ca 200 faciliteter och för andra förekommande punkter. Inspektören är en medarbetare från ACSI och arbetar inte för campingen. We had a large fully services pitch looking out over the sea. Site is easy enough to find just off the motorway. Pitches are varying shapes and sizes, all are grass and fairly level, the better pitches are across the bridge in the site. Toilet and shower facilities are good, hot water. No waste or water on the pitch we had opposite the toilet block but within reasonable distance. Access to a gravel beach which is good for the dog. Bar and restaurant open in the centre of the site in a large cabin, we didn't use it. Good stopover site for us. Site located a 2 minute walk to the beach that had bars serving snacks overlooking the sea. The site is not in the town center but provided everything we needed. Our June visit was out of season, and there was only 1 pitch left! Pitches flat on grass with electric and water nearby. Pitches not large but so close to the beach I felt they were adequate. Staff very friendly throughout. There is an onsite restaurant serving good food. Toilets and showers spotless. All round a great little site in a superb location. Good location next to the beach. A bit far out for getting into St Jean de Luz . We biked in. But probably an hours walk. Facilities ok and clean. Some noise from builders behind site when we were there. This campsite was a delight to visit at this time of the year. Pitches are generous in size and several have direct views of the beach and the sea. Staff are very friendly and helpful. Shower facilities are always clean and water hot. The restaurant provides excellent meals at good prices. The location is excellent for walking, cycling and sightseeing eg St Jean de Luz, Biarritz, Bayonne, San Sebastián. We would definitely return to this site again as a holiday base or just passing through. Vill du boka Camping International Erromardie eller få mera information? Det går bra med nedanstående uppgifter. 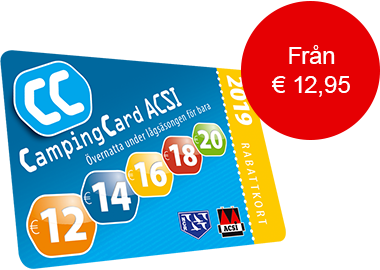 ACSI Eurocampings skickar din informationsförfrågan till "Camping International Erromardie".